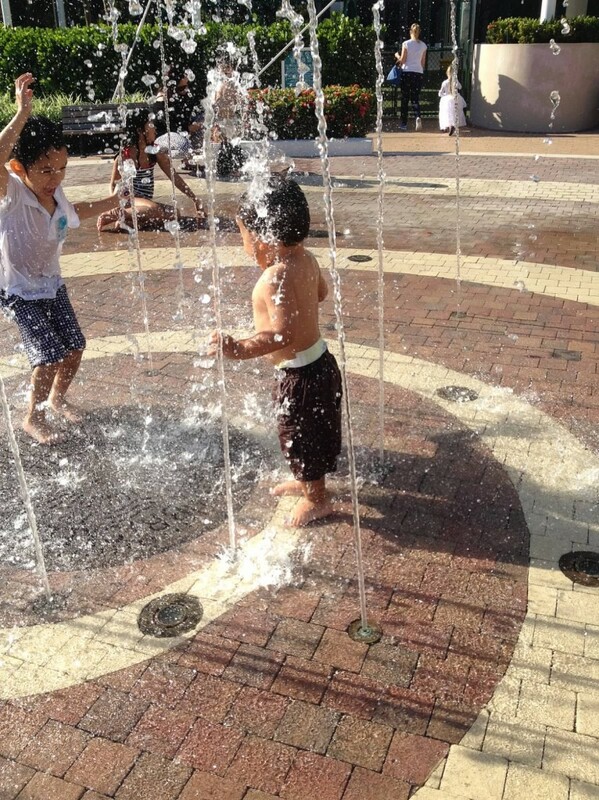 There is just something about Fountains, Splash Pads and Bubbles that gets a kid every single time! So if you’re new to this parenting thing…LISTEN UP! Do keep a bottle of bubbles handy in your “bag of tricks,” especially any outdoors outings. 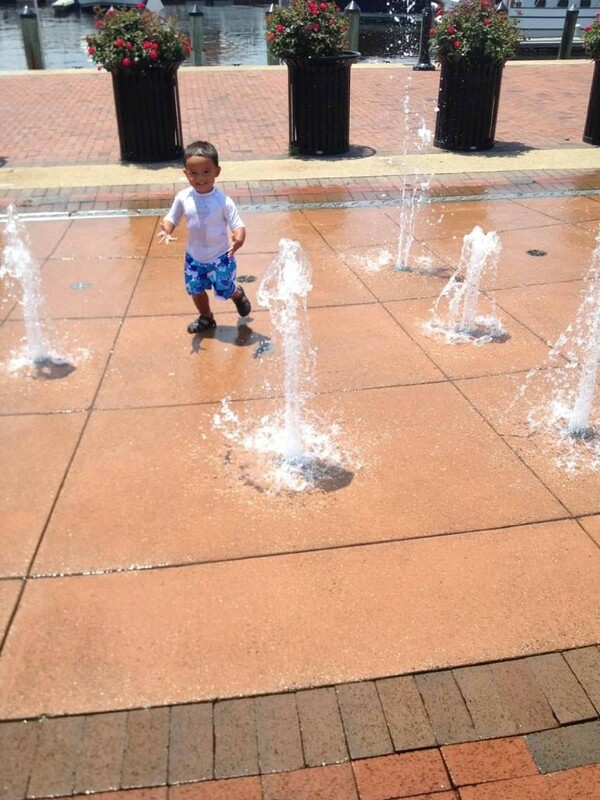 We first discovered the bubble magic while taking our son to Gymboree class..where bubble time is built in. Just the awestruck wonder and curiosity is amazing to watch… There’s something so magical and intriguing about bubbles that can stop any meltdown on a dime and hold their attention. The great thing about bubbles is that they’re inexpensive and they come at all “levels,” from a simple bottle and wand to fancy setups with assorted sizes of bubble wands and even bubble machines that do all the work for you! A bubble machine also makes a great addition to any get together and bubble bottle work in any age favor bags at parties. 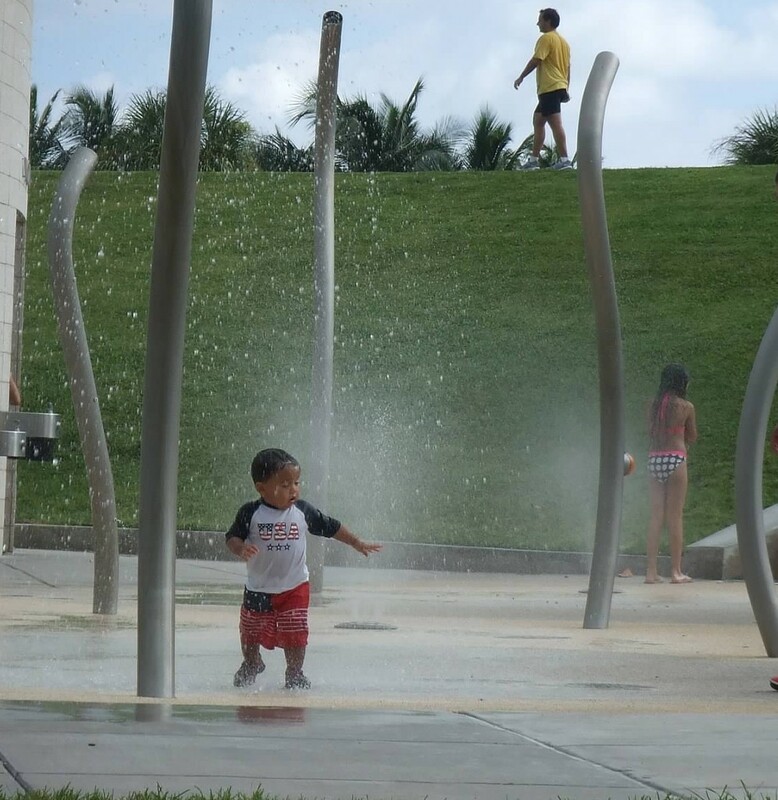 Another bonus about splash pads and fountains is that there are many places where you can find them for FREE! Sure, water parks and other family amusement places have them, but often times community centers have them, as well as city parks and various gathering spots…just do your research before you go to confirm costs (if any) and rules/times it’s allowed!